Does this image look familiar? Check this link for a clip from Fantasia, Mickey The Sorcerer‘s Apprentice http://www.youtube.com/watch?v=XChxLGnIwCU. Perhaps then you will understand the FEAR this child had after seeing the brooms marching down the stairs with their splashing buckets of water. Now I laugh in the face of an old fear! PSE9 photo effects/fluorescent chalk transformed the original photo image to an animated look for this post. 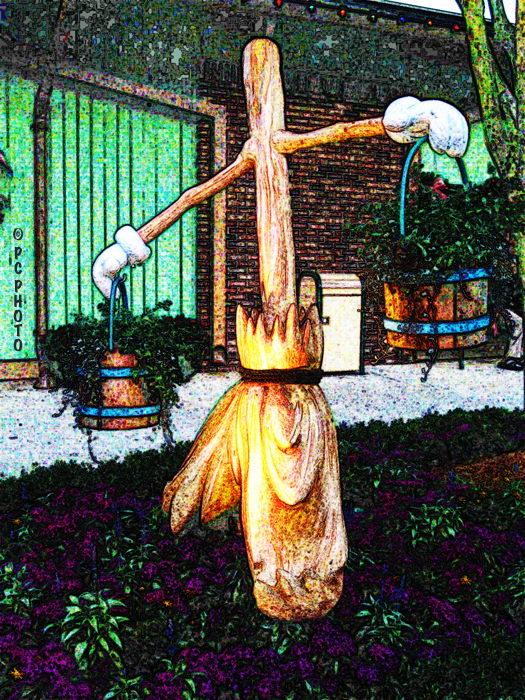 The original image was seen and photographed while at Downtown Disney.